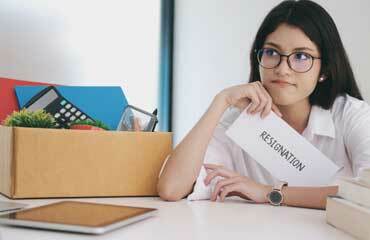 When an employee resigns from a position for reasons of their own, their exit could have implications with regards to a department’s workflow. Also, it is important to leave in good graces. When you compose your apology letter it will generally go into your file, where you’ll leave evidence that you did whatever you could to leave on good terms. While it’s logical to think that your boss will understand your reasons for resigning, if it interrupts their plans, work schedule or long-term goals, they might not take your leaving very well. As such, this type of letter can help heal any feelings of resentment that your boss may feel, so you can move on with your life and achieve your personal goals. The reason for composing this letter is clear. It is to make a sincere apology to you for my resignation from the company. I understand how this may appear and understand that you found it shocking and are more than a little upset. I also understand how this may have caused you and the company considerable inconvenience, especially during this time of year. It is with great sadness that I learned how hard you took this resignation. We have been very close over the past 10 years, and I am so sorry that this event has caused you so much pain. I assure you that none of this was premeditated, as I did not even put in for a transfer but was chosen by the head of the east office based on my performance here. I take full responsibility for not notifying you sooner, but the entire exchange occurred so quickly, plus I was under the impression that the head of the east office had already contacted you to finalize the transfer to their New York branch. As they never contacted you, I can only guess that it was a breech in the line of communication that occurred. Nevertheless, the fault lies with me as well, as I did not speak with you before composing the letter of resignation. I’ve contacted the head of the New York branch and she is drafting paperwork at this moment which I feel, will help in rectifying this situation. I trust that all of this will be cleared up soon, and we will again be on good terms. If there is anything you can think of which can add to this situation, please let me know. I look forward to working with you via the New York branch very soon.